Here is a break down of the boards of this great duo! Customer Splitter/Blender for Guitar/Bass out <= not 100% sure about this. A couple of interesting points. I really like the doubled pedals for variety of the same effect. Was not surprised with the double Rats and double reverbs! Another interesting thing, is the DIs. I’ve been noticing more and more with live bands, that DIs are becoming more and more popular. Quiet stages with in-ears and signal direct to Front of House. 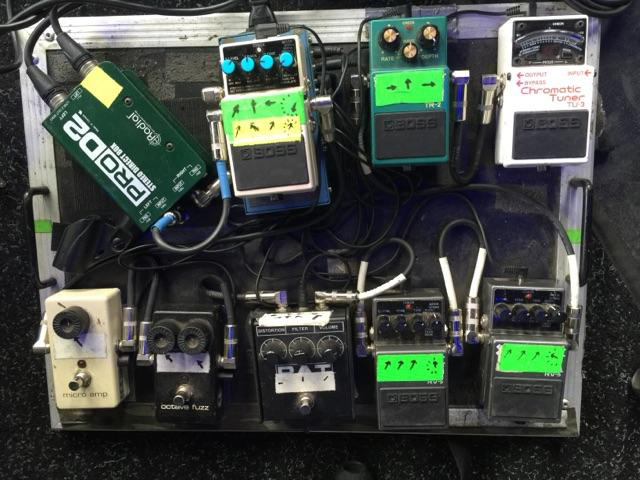 Let me know what you think about The Raveonettes or your thoughts on these boards by commenting below! Pedal Line Friday - 8/4 - Luciano TirabassiSoundBrut DrVA Give Away Winner! I have loved them from the start back in 2003. As a guitarist I have tried to emulate there sound. 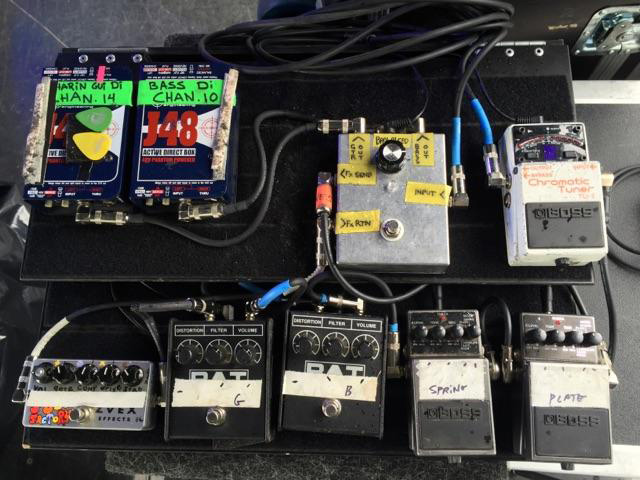 There sound is a mixture of there pedals and the sound you get when you go direct to the board. It was only here recently that they didn’t have amps on stage as a monitor. Thanks for posting good stuff!